Zulauf, C., G. Schnitkey, J. Coppess, N. Paulson and K. Swanson. 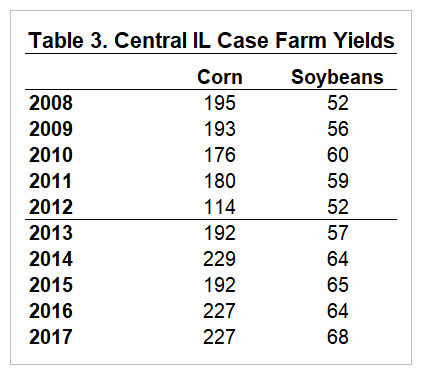 "PLC Base Yield Updates – The Importance of Crop Rotation." farmdoc daily (9):9, Department of Agricultural and Consumer Economics, University of Illinois at Urbana-Champaign, January 17, 2019. Coppess, J., G. Schnitkey, C. Zulauf, N. Paulson, B. Gramig and K. Swanson. "The Agriculture Improvement Act of 2018: Initial Review." farmdoc daily (8):227, Department of Agricultural and Consumer Economics, University of Illinois at Urbana-Champaign, December 12, 2018.